This year the College of ACES Alumni Board of Directors incorporated an alumni speaker to the evening. Robert Easter, President Emeritus of the University of Illinois, shared many of the milestones the College of ACES has met during his tenure from student to President during his years at the University of Illinois. It was a pleasure to hear his history of the college and remember our college history. The University of Illinois announced the establishment of a permanent endowment fund that will create the Robert A. Easter Chair in the College of Agricultural, Consumer and Environmental Sciences. During the ACES College Connection, Interim Chancellor Barbara Wilson shared that pledges totaling over $2 million have been raised and additional gifts are sought. Future Deans of the College of ACES will hold the chair. It will serve not only as an enduring legacy to Easter's service to the University and ACES, but also a lasting reminder of his leadership and commitment to advance Illinois agriculture. Dr. Easter has devoted his career to service at the University of Illinois. He served as Head of the Department of Animal Sciences, Dean of the College of ACES, and Interim Provost and Chancellor, before assuming the responsibility of President in 2012. In his roles mentoring graduate students, interacting with industry and stakeholder groups, conducting groundbreaking research in swine production and nutrition, and accepting the challenges of administrative positions, Dr. Easter has exemplified integrity, professionalism, and humility, Chancellor Wilson noted. The College of ACES appreciates all those who generously contributed to the fund. Continuing to grow this endowment is a priority of the College of ACES. To learn more about supporting the Robert A. Easter endowed fund, please contact theCollege of ACES Office of Advancement or call 217-333-9355. The College of ACES Alumni Association and the College created a new award entitled the Friend of ACES. On September 11, 2015 at the ACES College Connection, we recognized the first recipient of this award for the many hours of dedication and loyalty he has given to the College of ACES and beyond. 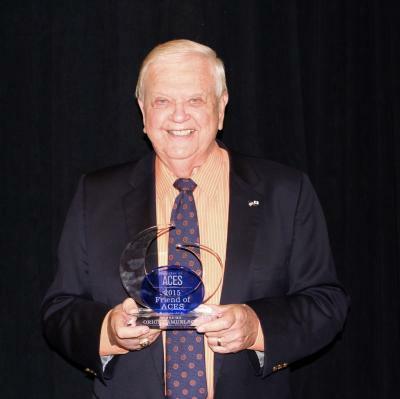 Many of you know this honorary alum of the University of Illinois - Orion Samuelson, one of the country's most prolific broadcasters and long considered the "voice" of agriculture, has been named the first recipient of the ACES Alumni Association Friend of ACES award. Samuelson is the agribusiness director of WGN-Radio, Chicago, and vice president of WGN-Radio and WGN-TV, Chicago. Samuelson has given generously of his time and resources to the University of Illinois and the College of ACES over the span of his career in broadcasting. He has directed thousands of dollars in private support to Illinois and ACES through his public speaking engagements at such venues as the State Fair Sale of Champions and the College of ACES tent at the Farm Progress Show. Through his regular broadcasts with WGN radio, Orion has referenced ACES programs and advocated for their support for decades. 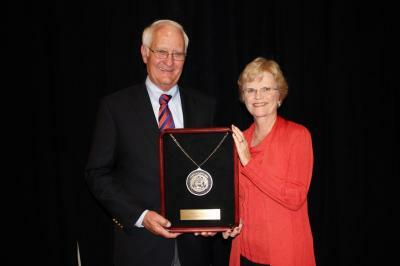 Among his many honors, Samuelson was named a Laureate of The Lincoln Academy of Illinois. He received the Lincoln Medal, the highest award bestowed by the State of Illinois. He has also been awarded the honorary degree of Doctor of Letters from the University of Illinois. His lifelong commitment to agriculture has been recognized by numerous organizations in all segments of agribusiness. He has received the American Farm Bureau Federation Distinguished Service Award, the National 4-H Alumni Award, and the Honorary FFA American Farmer Degree. As a tribute to his service to the agricultural youth of Illinois, former Governor Jim Edgar changed the name of the Junior Livestock Building on the state fairgrounds in Springfield to the Orion Samuelson Junior Livestock Building. Samuelson's more than 60-year career in agricultural journalism (55 years with WGN) has afforded him many unique, and often quite varied, opportunities. On the campaign trail of the presidential race in 1960, he was asked to speak privately with then-Senator John Kennedy about farm issues of the day. Three years later, he was the announcer on air at WGN when word came that Kennedy had been shot. He has met seven presidents and had dinner at the White House during the Nixon administration. On the less formal end of the spectrum, Samuelson said a highlight of his career was being the announcer for the WGN Barn Dance. "When WLS signed off as a farm station, I thought it would be a shame to let the Barn Dance die so we brought it to WGN and, from 1960 to 1969, I got to meet some of the greats of the business." Samuelson often speaks to agricultural youth clubs, and he said, "I always tell young people, if you don't remember anything else I've said, remember this: You can't dream big enough. As a kid sitting on a three-legged milking stool in Wisconsin, I never would have believed the life I had in front of me." Orion, yours is a "big" life of exemplary service to the field of agriculture and to the thousands of people across the country who benefit from your wit, wisdom, and expertise. Thank you for all you have done for the University of Illinois and our college - we are proud to name you our very first Friend of ACES. 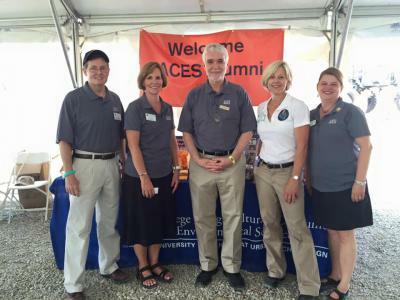 The University of Illinois had a strong presence at the Farm Progress Show in Decatur, IL on September 1-3, 2015. We were pleased to meet many alumni and friends of the College of ACES during the three days. The College of ACES Alumni Association provided stickers for alumni during the three day event that said "I am Proud to Be An ACES Alum" and gave out ACES Alumni shopping bags to those that stopped to visit. We had a wonderful time greeting alumni and hearing where our alumni are today! The University of Illinois tent also hosted Orion Samuelson's morning show each day and had University of Illinois President, Timothy Killeen join us on Wednesday. Many of our department staff were also on hand to visit about the college, answer future students questions and visit with alumni about current research. District 7 Director - The nominee must reside in one of the following counties:Alexander, Bond, Calhoun, Christian, Clinton, Fayette, Greene, Jackson, Jersey, Macoupin, Madison, Monroe, Montgomery, Perry, Randolph, St. Clair, Union and Washington. You are Invited to join current Field and Furrow members, fellow alumni, staff and faculty in celebration of Field and Furrow's 80th Anniversary. A full weekend of events are scheduled for November 6-7, 2015 in Urbana-Champaign. Register online by November 2, 2015 at illinois.edu/fb/sec/7476081. A block of rooms is reserved at the iHotel (reference you are with Field and Furrow event). Please direct any questions to Megan Ward atmward3@illinois.edu or 217-333-8198. Come see the renovated lobby, crop and soil science teaching laboratories! 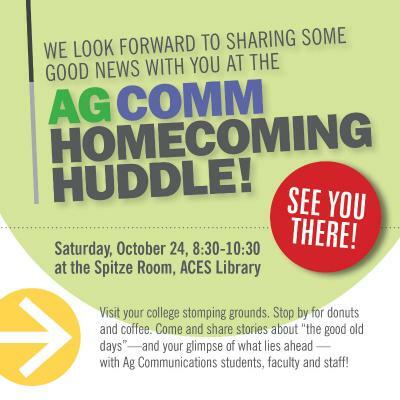 Parking will be available in the ACES Library circle lot. Enter Turner Hall through the west entrance facing the ACES library. We know many of you have supported this project and welcome you to see the finished project. Classes started in these labs this fall. Phase I is completed! Phase II planning begins this fall. Fundraising is 80% completed. Join fellow Field and Furrow alumni and current members for lunch while we watch the Illini play Purdue on the many screens in the 77 Club (indoor viewing space overlooking the field). Current members of the club will have their SASES posters on display so you can view their presentations as well as information about the Field and Furrow club activities. If you missed the morning tour, catch a shuttle from Memorial Stadium after lunch. Parking is also available in the ACES Library circle lot. Enter West doors facing ACES Library. Come see the renovated lobby, crop and soil science teaching laboratories! We know many of you have supported this project and welcome you to see the finished project. Classes started in these labs this fall. Celebrate the 80th! Reconnect with your old friends from Field and Furrow, meet the current members and view the full collection of achievement books. 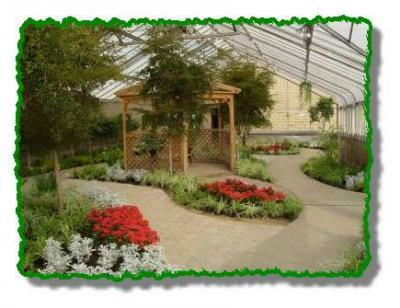 After reminiscing, we invite you to participate in the silent auction to raise funds for field and furrow student travel to the national and regional SASES conferences. 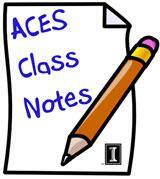 Check out Class Notes online - acesalumni.illinois.edu/site/news/classnotes.cfm! Be sure to share any special times in your life with the ACES Alumni Association to keep your fellow alumni updated! Newly married? New job? Promotion? New book? New baby? We hope to hear from you. 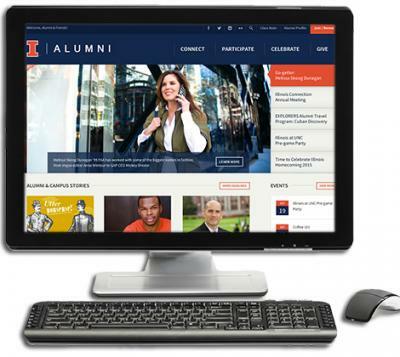 The University of Illinois Alumni Association recently unveiled a brand-new website for graduates of the University of Illinois Urbana-Champaign: www.illinoisalumni.org. This interactive online destination is designed just for UI alumni and acts as a virtual gateway to the UI Alumni Association. Visit often for the latest Alumni & Campus Stories, Upcoming Events, Alumni Awards announcements, Illinois Connection Calls to Action, EXPLORERS tours and more!